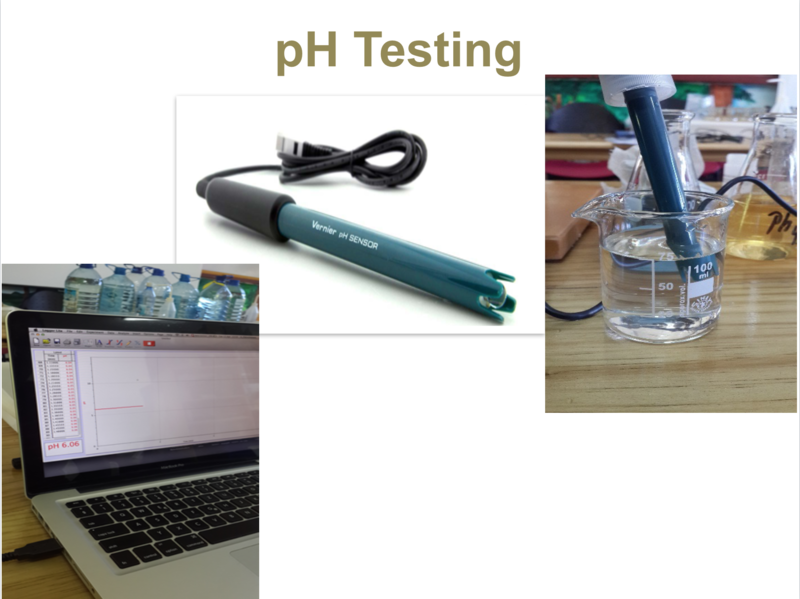 By providing analytical laboratory equipment to the University of Seychelles (UniSey), the Save Our Seas Foundation (SOSF) is assisting in the evaluation of the important elements of the ecosystem service provided by water-catchment areas in the Seychelles. The evaluation is being done by assessing the water quality of designated watersheds on the island of Mahé. Alterations in the hydrological cycle resulting from climate change will have significant impacts in the Seychelles. It is difficult to predict exactly what these will be, but it appears that the risk of extreme events (flooding and drought) – and their severity – is increasing. It is expected, moreover, that human pressure on watershed areas will also increase. We therefore need to acquire a holistic understanding of the key elements of the ecosystem service of water catchments in the Seychelles. 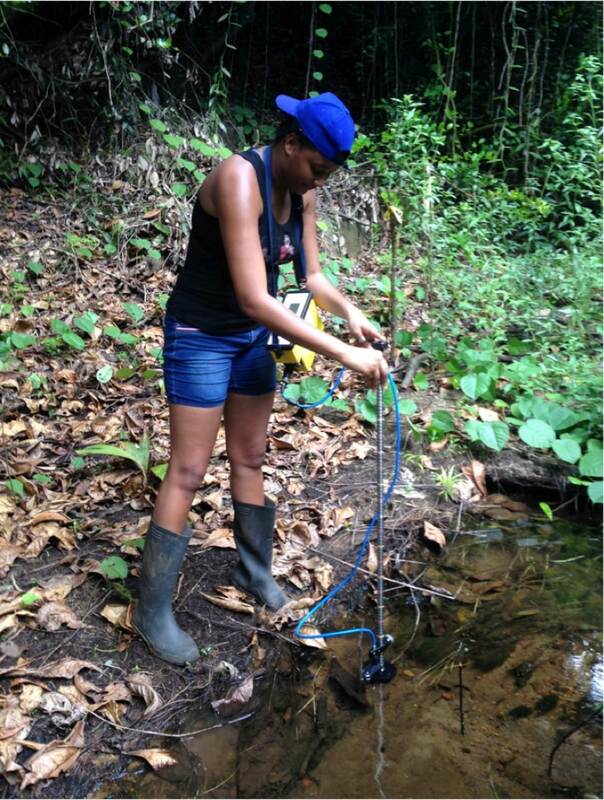 Measuring water flow in a Val d' Andor water catchment. A watershed in a small island state like the Seychelles needs to be understood by the public as something important, something ‘sanctified’; there is no better justification for nature conservation and the protection of natural resources than giving full attention to the optimal functioning of watersheds. In the first part of the Seychelles’ ecosystem-based adaptation to climate change project, which deals with hydrological and forest rehabilitation, it was decided to assess important elements of the ecosystem service of a water catchment by studying four distinct components: the quality of the vegetation; water quality; water flow and availability; and the impact of human activities (such as potential polluters, construction and logging). In this respect the project follows a systems approach and spans different disciplines. 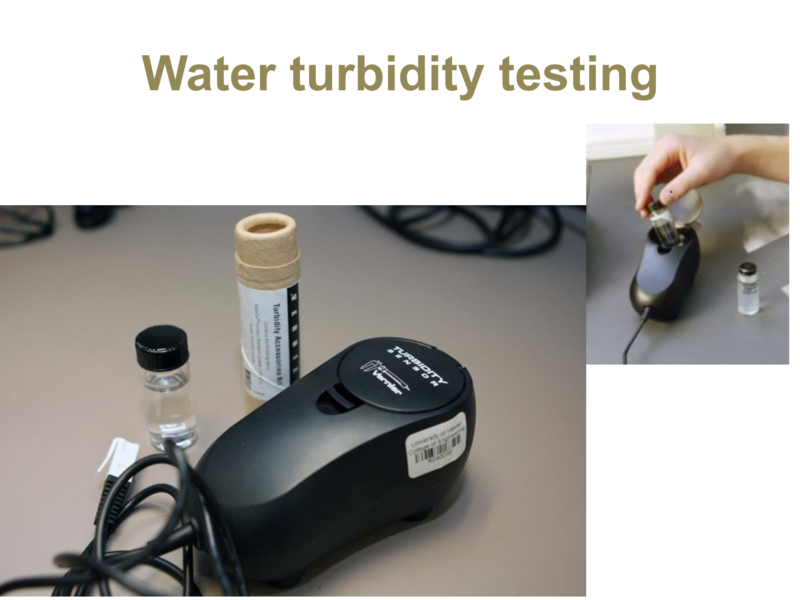 In addition to the laboratory established with SOSF support at the UniSey’s faculty of environmental science, 15 students from the faculty and two from the TdLab of the Swiss Federal Institute of Technology in Zürich are monitoring the four components as part of the project to assess the ecosystem service provided by water catchments.